Are you spring cleaning? 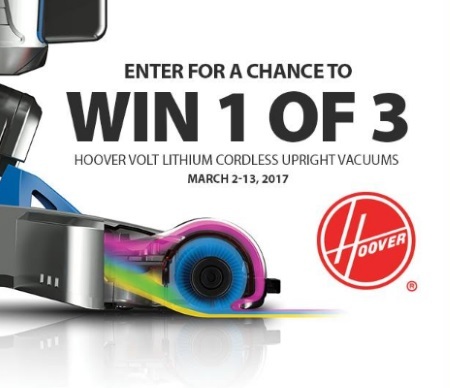 London Drugs is giving away 3 Hoover Volt Lithium Cordless Upright Vacuums! Contest is open to all residents of British Columbia, Alberta, Saskatchewan and Manitoba who have reached the age of majority in their province. No purchase necessary. Contest closes March 13, 2017.